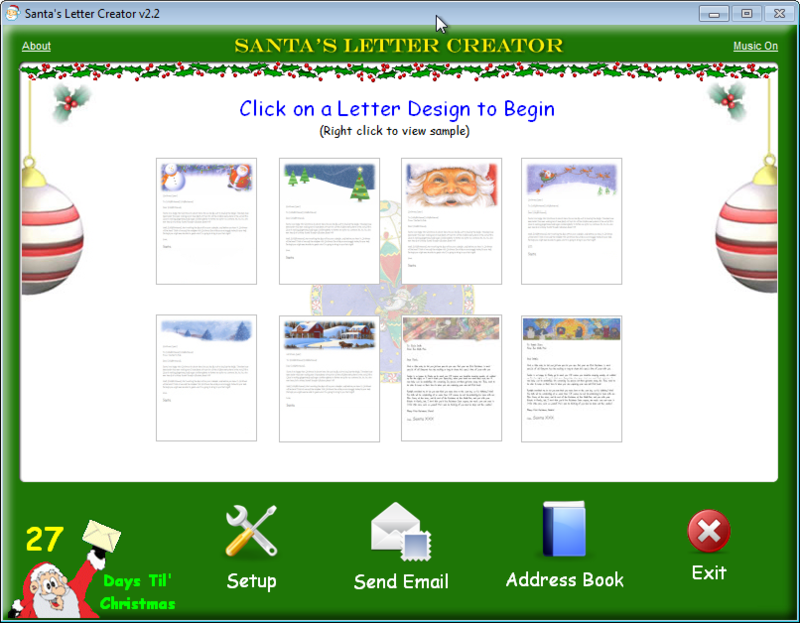 Santa's Letter Creator lets you generate colorful, personalized letters that will make your child feel special this Christmas. Easy and fun to use, you can choose from 8 colorful designs, and 6 different letters. No need to pay someone $10 each to have a letter mailed. 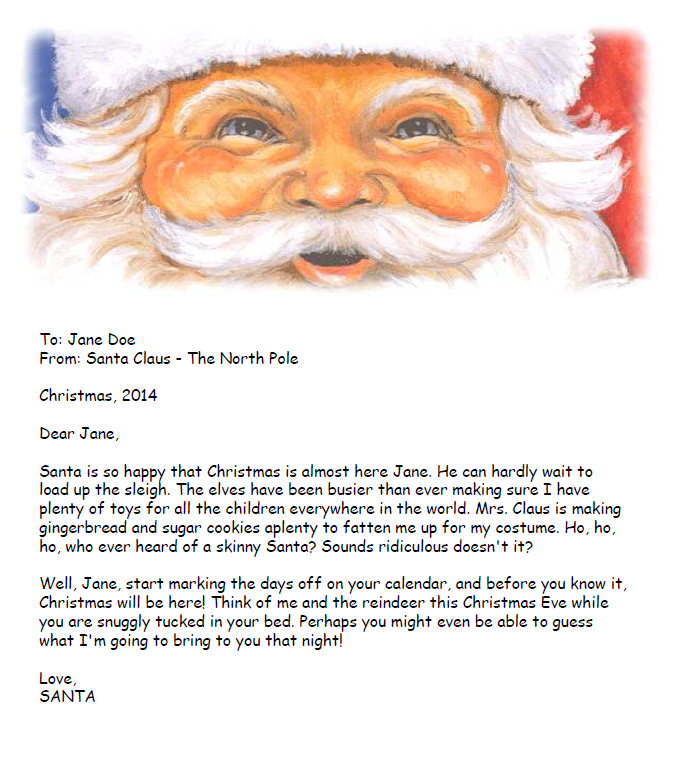 Print your own and slip it into the mailbox, or under the tree, or email them a pre-made message. Re-usable year after year. Kids love it! Free upgrades for life. Sign up for our Mailing List for announcements of updates and new releases. Re-usable year after year. Kids love it! • 8 letterheads/6 letters to choose from or create your own. • The grandkids also love'em! 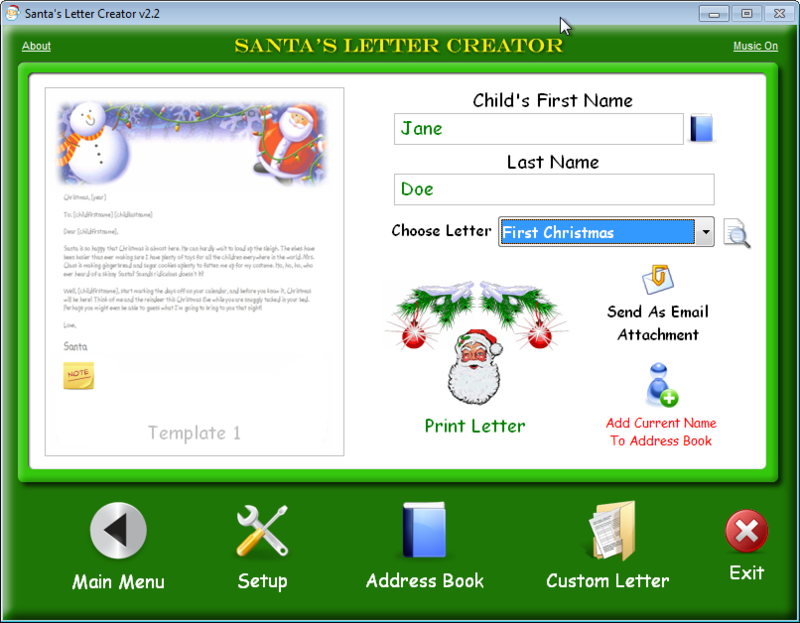 • Send letter as email attachment right from the program. 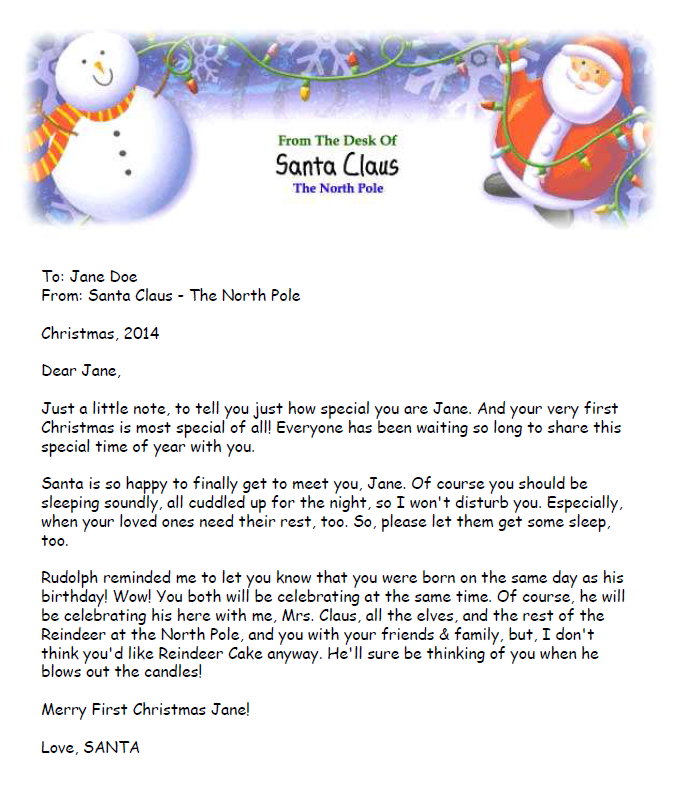 • Make your child feel special this Christmas! • Slip it under the tree or in the mailbox. 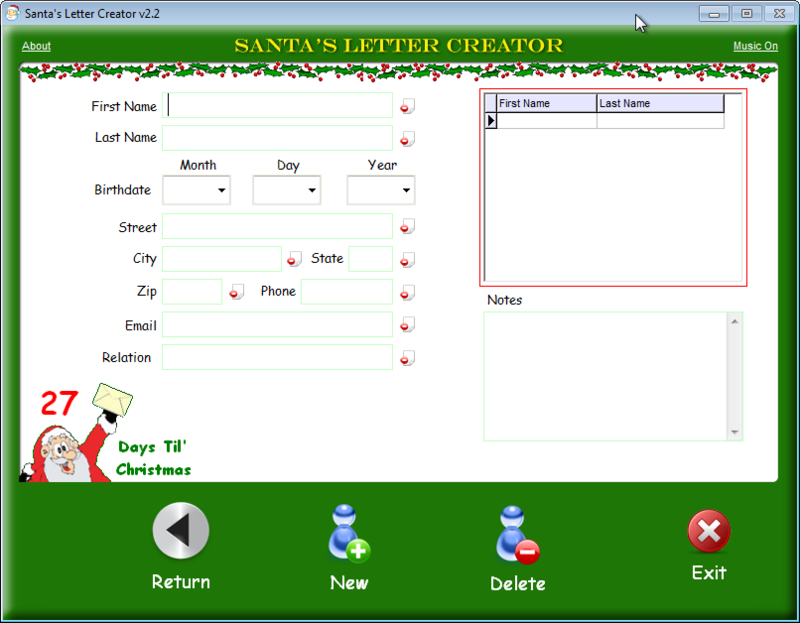 • Create your own custom letter. 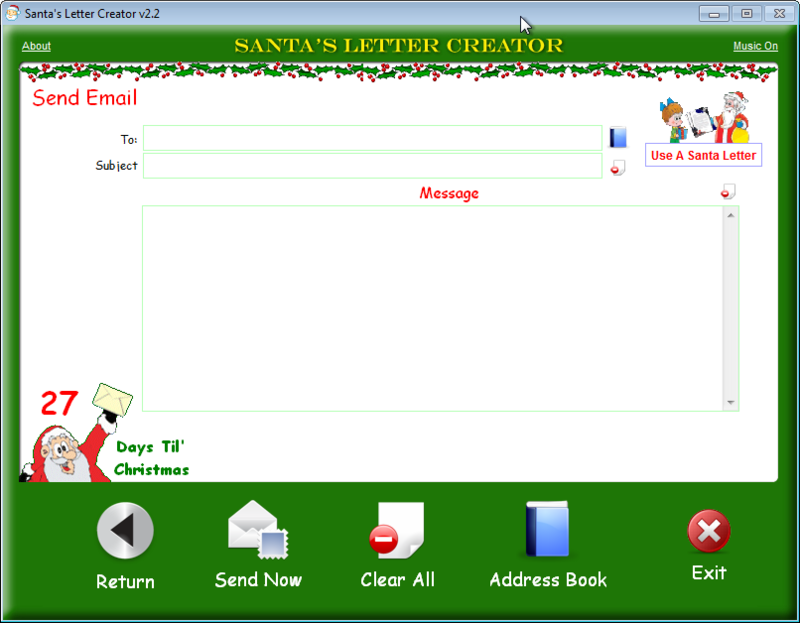 • Attach any letter to an email zipped or not zipped. Unlock code to register trial version sent by email within 24 hours. If you have an email address that requires approval for spam control such as Earthlink or AOL, the email containing the registration info may not get through. Please use a direct email address, or pre-approve sales@highdesertsoftware.com and support@highdesertsoftware.com with your mail delivery system in your white list or no-spam list. • FIXED - Custom letters now works correctly.